Copyright �2005 PopEntertainment.com. All rights reserved. Posted: October 16, 2005. 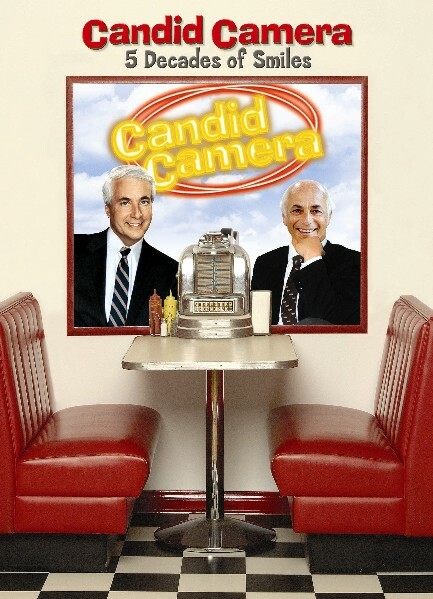 With Rhino�s release of the most classic of Candid Camera broadcasts (Candid Camera: Five Decades of Smiles), we can relive and re-examine the show that not only entertained us, but taught us about human nature. The concept was nurtured and taken to icon status by its late host and producer, Allen Funt. His son, Peter, has taken the legacy to new extremes, while facing the challenges of presenting this American classic in a new century and in a new age of technology (not to mention an age of decreasing attention spans). For more about the Rhino collection, go to www.popentertainment.com/candidcamera.htm. 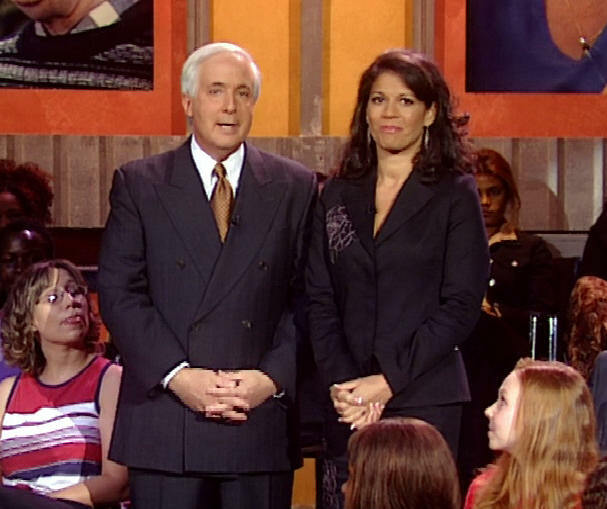 Meanwhile, here we caught up with Peter Funt to revisit this pop-culture phenomenon and to celebrate its rich history. What is the status of Candid Camera now? We�re working on the answer to that question. I would say Candid Camera has always been a case of history repeating itself, which is to say that it�s been on and it�s gone away for a while and it comes back in specials or on cable or on video or whatever. I will assume that that will continue to be the case. At the moment, I�m biding my time. I�m not exactly thrilled with the glut of so-called reality shows that are currently on TV. That�s not so much a knock on any particular show. It�s just to say that it�s draining to see that much material from that genre. I think that �reality� is a terrible choice of words. One thing that all of these shows have � and I would even include Candid Camera in that � is the absence of reality. It�s not real when a car breaks in half -- and it�s not real when you take three of four thousand people and audition them for a show on which you�ll wind up with five or six. What�s real about that? By the time that audition is over, the cast of Survivor or Fear Factor or whatever has more in common with actors and actresses than they do with people off the street. I�m talking about semantics here. I do think that Candid Camera has a lot of value in the social and psychological arenas and could be viewed and studied on quite a few different levels. That�s a proven fact because as we speak, the material is used in colleges and universities, and corporate training and hospitals. The time is not exactly right [to bring the show back]. It�s a little crowded out there. I�m glad we had the Rhino project to work on. I don�t really want to do exactly the same old thing over and over again, but on the other hand, the reason that Candid Camera has lasted as long as it has is because our world keeps giving us new things to study: computers, fax machines, cell phones, pagers, etc. And unsuspecting people � new subjects � are being born faster than we can possibly photograph them. It�s truly an idea that will never run out of steam. 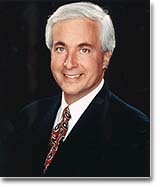 Your father [Candid Camera creator and original host], Allen Funt, was the inventor of this concept and its champion. How did the idea come to him? Way back in the mid forties, [my father] had the job of recording � with an old fashioned version of a tape recorder on wax disks � messages from the GI�s to send home to their parents or loved ones. There was a recording booth, and he would ask them to rehearse, something like �hi, honey, I�m doing fine.� Once they had it down pat, the red light would come on and they would record the thing and send it off. My dad found that they rehearsed very well, but when the red light would come on, they would get tongue tied and inhibited. The long and short of it is that the Army was wasting a lot of money on these disks. You could only record on them once. In an attempt to save Uncle Sam some money, my dad hit on the idea of disconnecting the red light and telling guys they were rehearsing when he was actually recording. He got much better results that way. When he got out of the Army, he decided that maybe there was something commercial in that little process. He got some seed money from Mutual Radio � $900 to be exact � to do a sample of the Candid Microphone radio show. When that sample was done, Mutual passed, but ABC Radio bought the show, and that�s how Candid Microphone came to be, in 1947. The following year, it went on television. That really began a fifty-year odyssey for my dad � what this one simple idea could lead to: movie shorts in theaters, network television, cable television, specials, series, record albums, books, three theatrical movies, one of them X-Rated [What Do You Say To A Naked Lady? ], and foreign versions of the show. It also led to non-profit laughter therapy, and college and corporate training. Very few television shows � if any � can make the claim of longevity equal to Candid Camera, and its applicability to other fields, such as education and information training. It�s not the kind of thing you can plan for. It�s the type of thing that happens. Luck is the intersection of a good idea and good fortune. You�ve been associated with the show your whole life. Did you figure you were going to take the ball and run with it, and continue your father�s legacy? I certainly had other goals. I helped my dad as early as age three, and during my teens, I was often on locations, whether it be getting coffee or getting releases signed. In my adult life, after college, I was the publisher of a successful cable television magazine [On Cable]. I was with ABC News in New York for four years. I spent several years as a free-lance writer and wrote dozens of articles about the media for The New York Times and other publications. I came around full circle and rejoined my dad and took a full-time interest again in his work. A lot of people who follow in their fathers� footsteps or take over the family business are often suffocated by the success of the guy who preceded them. Even if you take over your dad�s butcher shop, people will say, �Peter doesn�t slice the roast beef the way Allen did.� That sort of comes with the territory. It�s good to do other things -- in my case, working in journalism and broadcasting and publishing, so that when I do get into the family business, I don�t feel that I am 100% dependent on my dad�s success as my reason for being here, although I give him all the credit in the world. Candid Camera is his baby. I hope history will always note him as America�s #1 people watcher. I�m totally happy and proud be America�s #2 people watcher. There were a lot of imitators of Candid Camera over the years, but not like the original. Even if they come on and make a big splash � one, for example, was called Spy TV on NBC � which was a very direct imitation of the hidden camera concept -- as big a splash as they made, they had a half life of about thirteen weeks. They were truly flashes that came and went and disappeared. Well, why? What gives here? There are fundamental ingredients in what we do, and the other people who try them are either unaware of them or are aware of them but think they have a better way to do it. On that list � first and foremost � is a genuine interest in and a compassion for the public that we photograph. So many derivative shows come at this with what seems to be a predisposition to thinking that people are stupid. We come at it exactly in the opposite way � that people are wonderful � and they are pretty darn smart. Yes, we show them at times being fools or being confused, but they almost always reflect how we all might behave if we were caught in a similar situation. There is always some sort of redeeming value in what we are doing. We never lose sight of the fact that it is entertainment. I�ve done 137 weekly half hours and another twenty hour-long specials myself. One of the things I�ve tried to do in that period was to get more different reactions of people reacting to the same thing. My dad would often show the best one or two. I would often show the four or five or six best people. Even if the reactions are somewhat similar, there is something to be learned from seeing the similarities. There is also something to be learned from seeing different reactions. It also enhances believability. 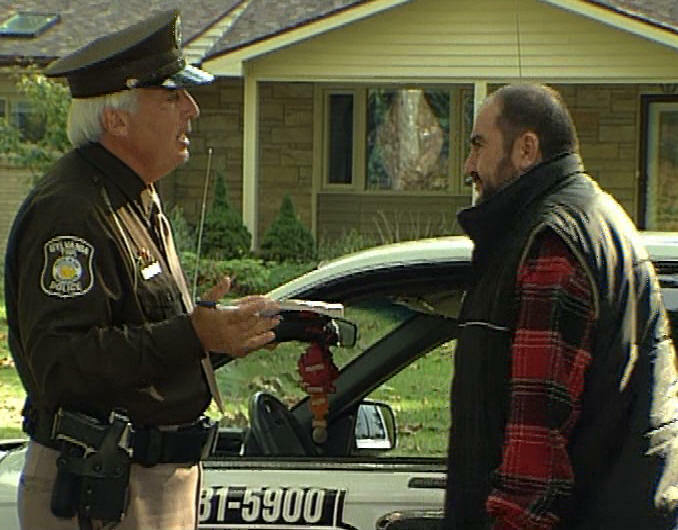 Candid Camera is a very eclectic mix of things you can do with a hidden camera. One sequence in the show might be a ha-ha practical joke type thing; one sequence may be a pure observational piece of how people walk up and down stairs, where there is no gag at all and we are truly a fly on the wall. By the way, that truly is reality. We hide a camera without influencing the situation and watch people do something. For instance, my dad did a great thing in the sixties that I still find enjoyable to this day: people licking stamps in a post office. We just watch people and how they lick stamps. How do you come up with your ideas and how do you put them into action? It�s not brain surgery. During my dad�s time, most of the ideas came from his fertile brain, and for me � for better or worse � it was the same. We do have people around the office with ideas, and certainly the public sends in their ideas. [My dad and] I try to be aware of the little things that drive people crazy or are confusing. We try to make a scenario out of that. The process is to come up with an idea that you think will work, and then to send somebody out to find a location where they�ll let us do it -- and then wait for unsuspecting people to step in. If people don�t sign the release, then we just destroy the footage. There is no archive of all of this unreleased footage. It gets easier and easier over the years if you are a known entity, and trusted, thanks to my dad. One of the things I have to do as the day goes on is a mental tabulation of what we�ve got [on tape so far] because the situation keeps changing. Sometimes the environment gets a little �hot.� A few people have seen this and they want to linger on the sidelines. You hope to get it early, because as the day goes on and the word spreads, it can get tougher and tougher. We stop for as long as necessary to let things quiet down again, sometimes for as long as an hour or so until we�re certain that things are back to normal. Sometimes we can knock off by lunch. Other times, we have to spend two days. When you go out in public when you are not in production, are you able to have normal interactions with people, or do they become suspicious and think that you are filming them? Candid Camera also plays a small role in helping critically ill people. The Laugher Therapy Foundation is a non-profit organization that we operate. My dad started it in the late seventies, after being influenced by the late Norman Cousins, the writer. [Cousins] wrote a fairly important book called Anatomy of an Illness. In that book, he recounts his own illness and found that for every half-hour of Candid Camera that he watched, he was free from his debilitating pain for about four or five hours. Laughter was helpful in easing his pain, and it seemed that Candid Camera in particular, was very useful for this. My dad and he began to conclude that maybe it was something about the real-life setting and the real people [that seemed to be effective]. We�re not scientists or doctors. We just know what we�re told, and it was significant when he wrote about it in his book. My dad set up this charitable organization and the idea simply was � and remains to this day � that if these tapes and films of ours have such use, why wouldn�t we want to get them into the hands of as many similarly suffering people as possible? The organization sends tapes to critically ill people at no charge. It�s a series of four packages. It�s been going on since the late seventies. I�m happy and, in fact, proud to continue doing that. We have a file cabinet bulging with letters from people attesting to its various benefits. Maybe a large part of that is just psychological, but then again, what�s wrong with that? The Candid Camera library is also used for education and training in the academic and corporate environments. The first step in that was back in the late sixties when my dad decided to make a donation of hundreds and hundreds of Candid Camera sequences on film to his alma mater, Cornell University. He gave it to the psychology department, and the school spent a lot of time cataloging it and breaking it down. That continues at Cornell to this day. Along the way, there were also instances where our material was used in corporate training environments. A lot of big companies have training for either customer service or marketing where sometimes the Candid Camera footage was useful in showing either a bad example of customer service, or even a good example. What have you learned about human nature during all your years with Candid Camera? What I�ve learned in the time that I�ve been doing this is that people are by and large good sports. They are more often than you think willing to take a joke at their own expense; they are able to take pleasure in a good joke that doesn�t go too far, even if they are the target of that joke. The other thing I�ve learned is that people are a bit a little too gullible, and I worry about that. One of the expressions of that is the blind willingness to accept perceived authority. Yes, we�re all taught to obey what a police officer says. We�re all taught to obey what a teacher says. Even the boss in a business environment is an authority figure whose instructions have to be followed. But I think there is so much of that in our world that we are at risk of being taken unfair advantage of � and I don�t mean by folks of the Candid Camera show � we just try to point that out. I mean by con people or other unsavory characters. That worries me. That really worries me. For more information on Candid Camera, log onto www.candidcamera.com. #1 � 2005. Courtesy of Smile! Merged Media. All rights reserved. #2 � 2005. Courtesy of Rhino Home Video. All rights reserved. #3 � 2005. Courtesy of Rhino Home Video. All rights reserved. #4 � 2005. Courtesy of Rhino Home Video. All rights reserved. #5 � 2005. Courtesy of Rhino Home Video. All rights reserved.